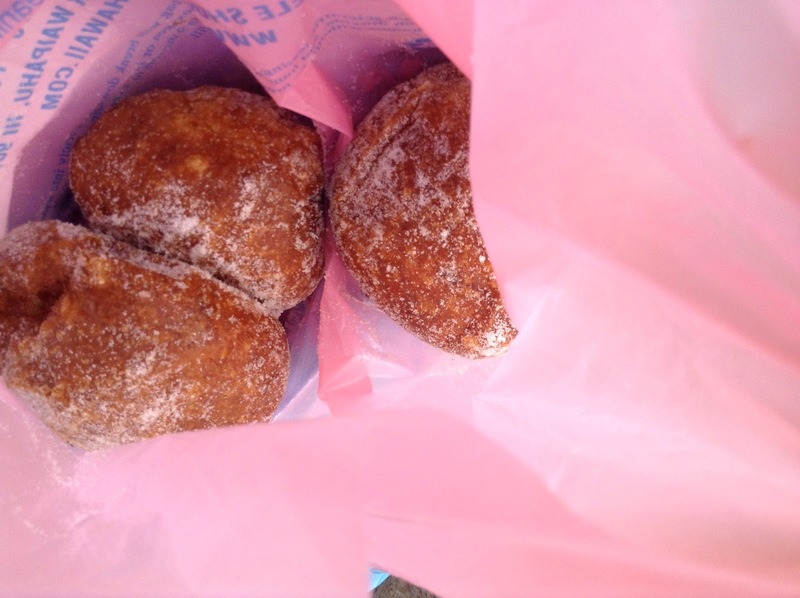 Malasadas,a local favorite brought to Hawaii thanks to the plantation days. 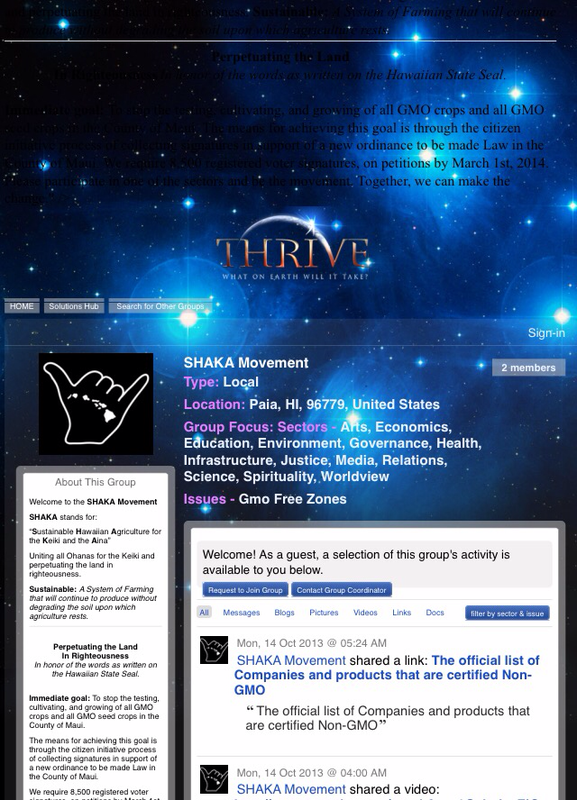 It is of no surprise that the SHAKA Movement activists have decided to change its focus from GMOs and pesticides to another agricultural entity. Hawaii Cane and Sugar is being attacked by the activists with regards to their practices of cane burning. I’ve been seeing some really ugly comments happily hoping to send people who work on these farms back to where they came from. The activists have offered no alternative and show no sense of community in helping those displaced should they get their way. 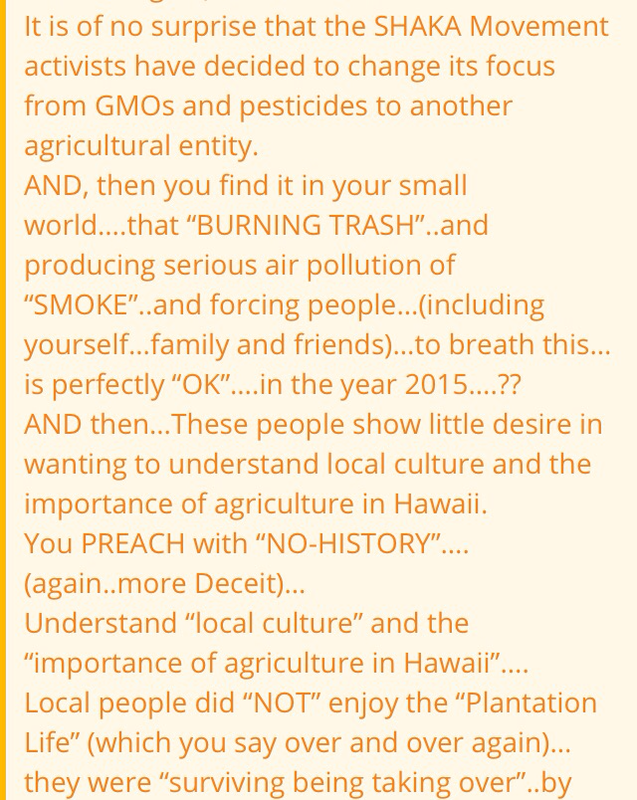 These people show little desire in wanting to understand local culture and the importance of agriculture in Hawaii. If they don’t like it, then it has to go. 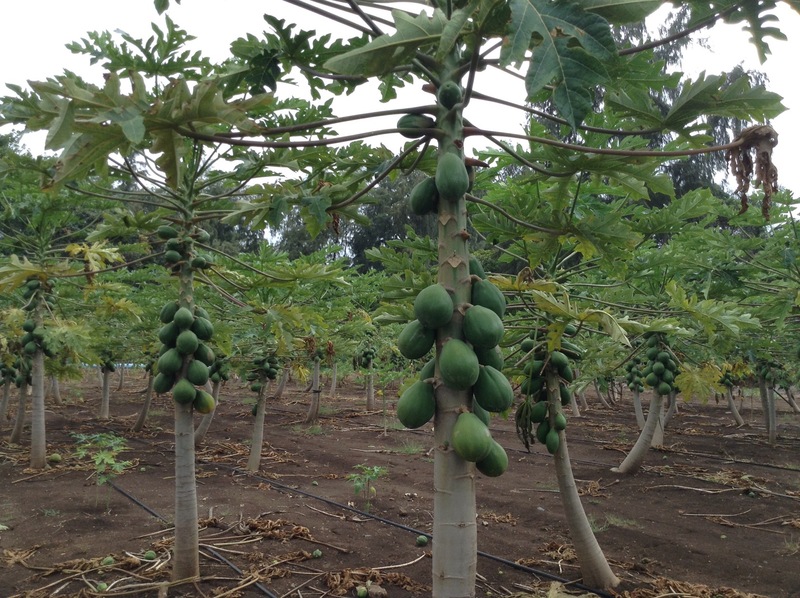 They do not know the stories of devastation of plant diseases upon papaya farmers or the loss of work when the sugar cane or pineapple fields were shuttered. They never saw old communities suffering from the closures of these farms. They probably don’t even know of anyone who lived through all of this. The sad thing is that these same activists will proudly announce on their car bumper to “Keep the Country Country,” but then attack the people and entities who do keep it that way. A genuine culture goes much further than opinions and is usually deeply rooted in knowing the history of one’s ancestors. Through learning and sharing of stories about failures and successes, the future generations can have a guiding set of values and expectations that create a strong foundation to move forward with. It is these values that keep people on the right path for their entire life and is easily passed down to the next generation. The simplicity of these lessons are clear: hard work, honesty, appreciation, and accountability. 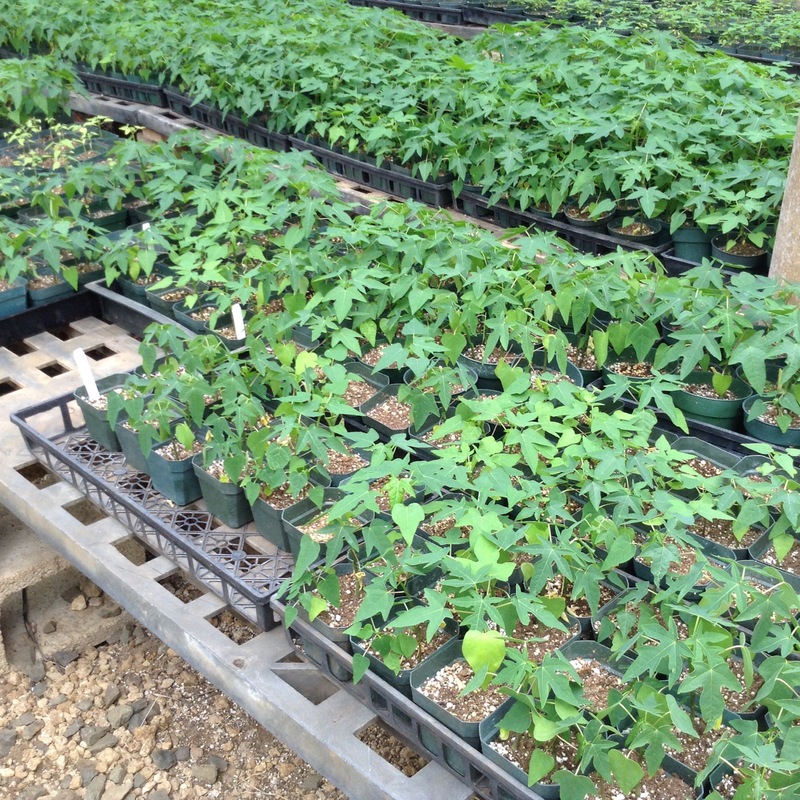 These were lessons learned through life on the plantations. These people also seem to have no respect for hardwork either. The new natives definitely like to mock plantation life in Hawaii. They’ll say stuff like it was no different than slavery or just a bunch of ignorant people who didn’t know any better. I despise the stuff they say about it because they are clueless in the results of the plantation days. So many people immigrated here with nothing and worked their way up and held high expectations to get their children educated. They obviously had a vision and instilled it in their children. Those kids are now the leaders in our state and well respected professionals. The workers who come here now aren’t any different. Their children are now community contributors as nurses, doctors, and other professionals. The enduring lessons learned from those plantation days live on in so many generations that we sometimes forget our roots. A huge reminder of those plantation days is usually found on our tables when we sit to eat. Much of the local foods we love is a reflection of our humble roots and our countries our ancestors left. We would have never had the rainbow of flavors if it weren’t for those awful plantation days. Of course we know that the new natives have no appreciation of this and enjoy the native foods of ancient cultures, like quinoa and amaranth. Just looking at what my favorite foods are, it really shows the results of many people from around the world sharing their own culture with one another. 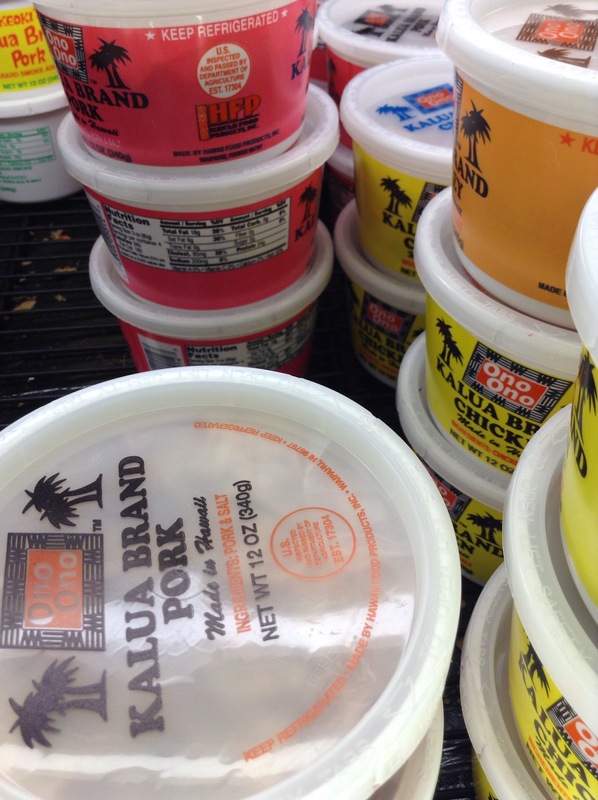 Our local foods reflect how agriculture has had a huge influence in Hawaii. If we don’t help to protect it, we chip away at our roots. 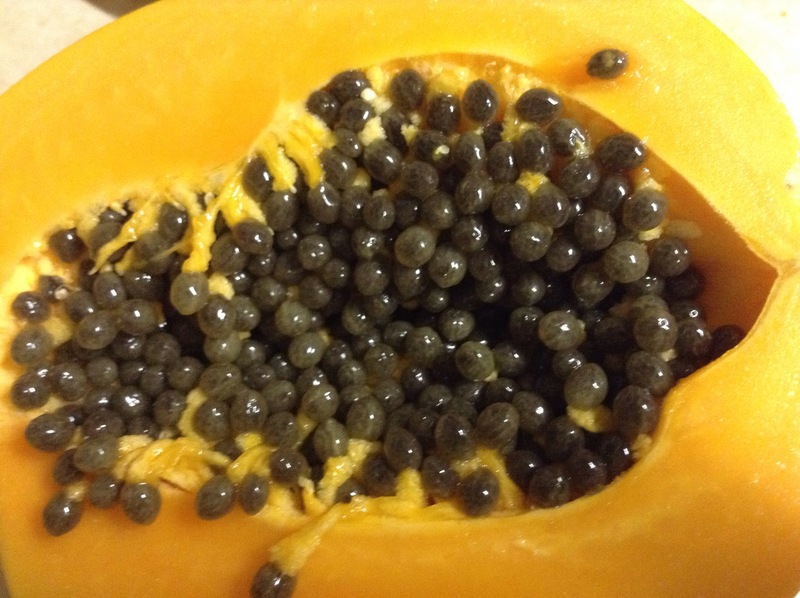 I personally really love my local style, unlabeled GMOs. It’s pretty obvious that I sure won’t find those haupia (Hawaiian coconut pudding) filled Malasadas (Portuguese donuts) at the Kailua Whole Foods anytime soon. I’m thankful for those plantation days. If it were for my great grandparents and others for taking that ride across the ocean, we would never had local style. Do you enjoy the rainbow of local foods? 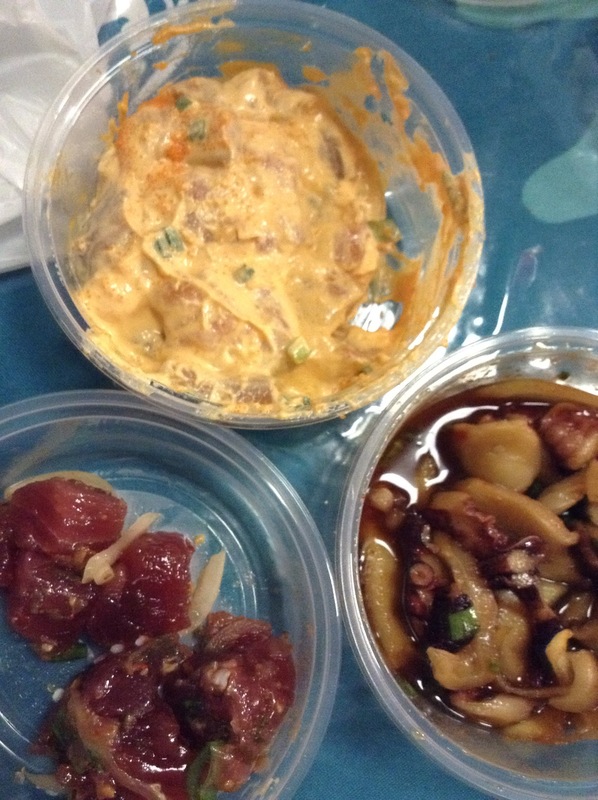 An assortment of poke from Fresh Catch. 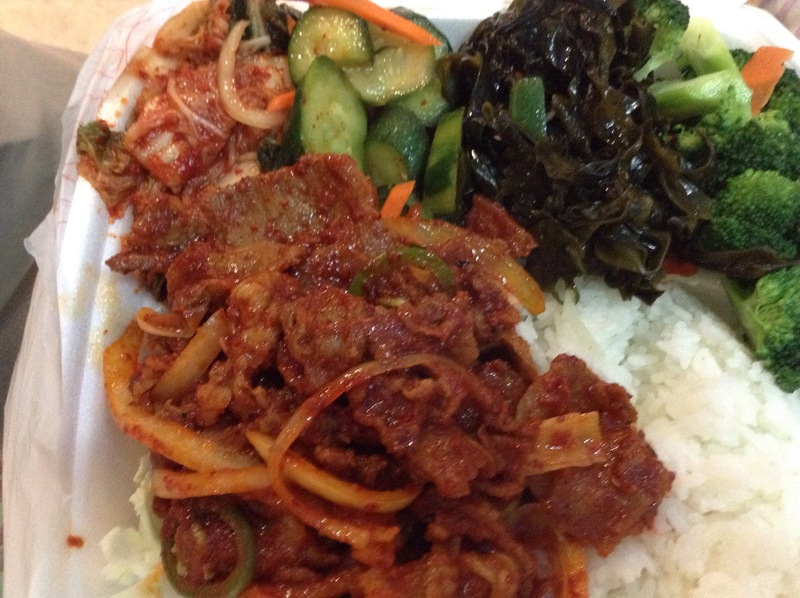 Spicy Korean pork plate from Bull Kogi. 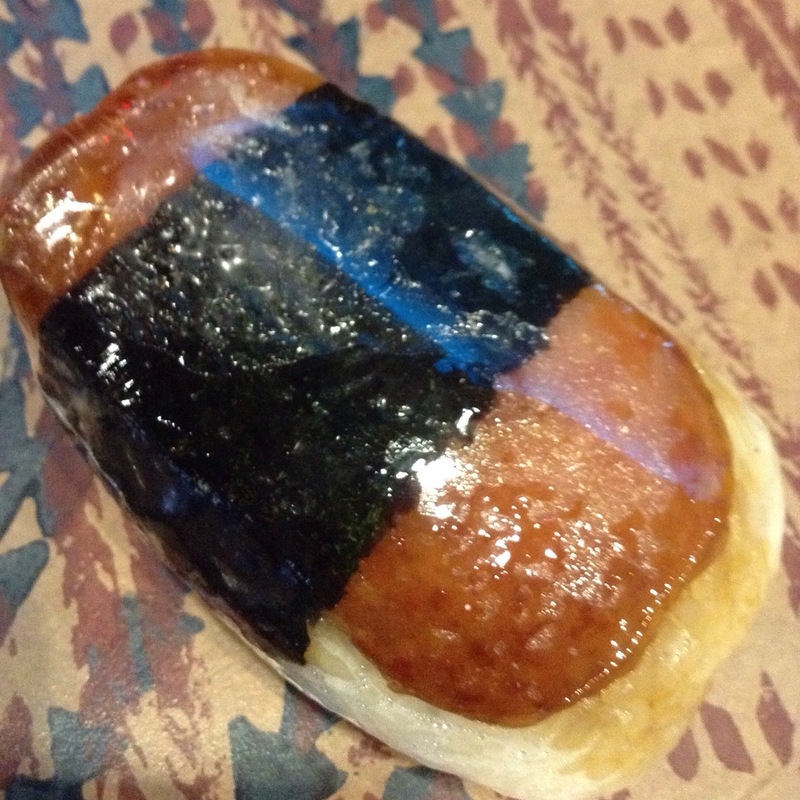 The ultimate local favorite, Spam musubi. 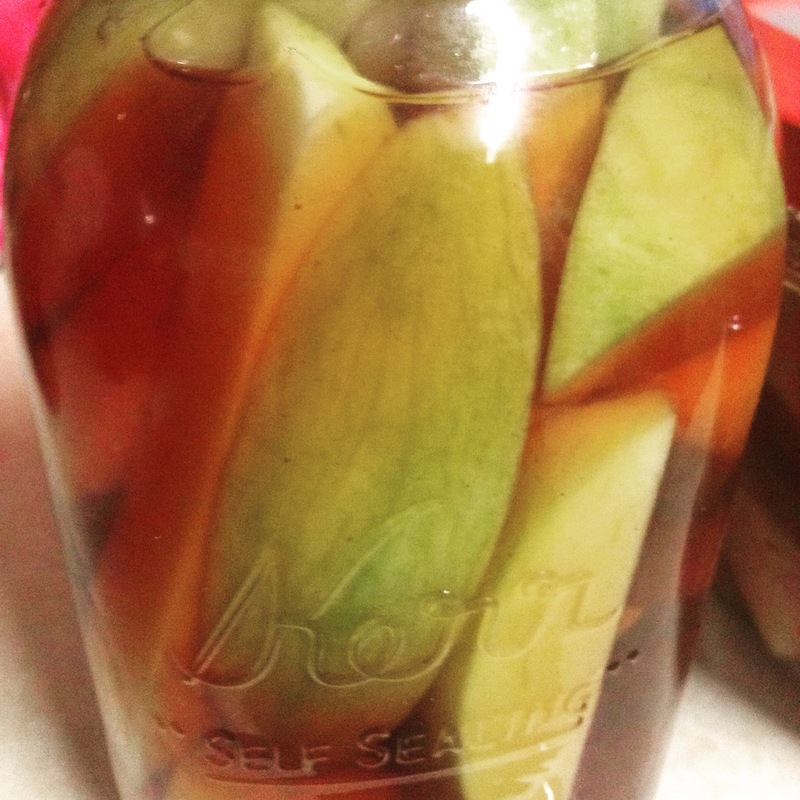 A summer favorite, pickle mango with some ling hi mui seed. 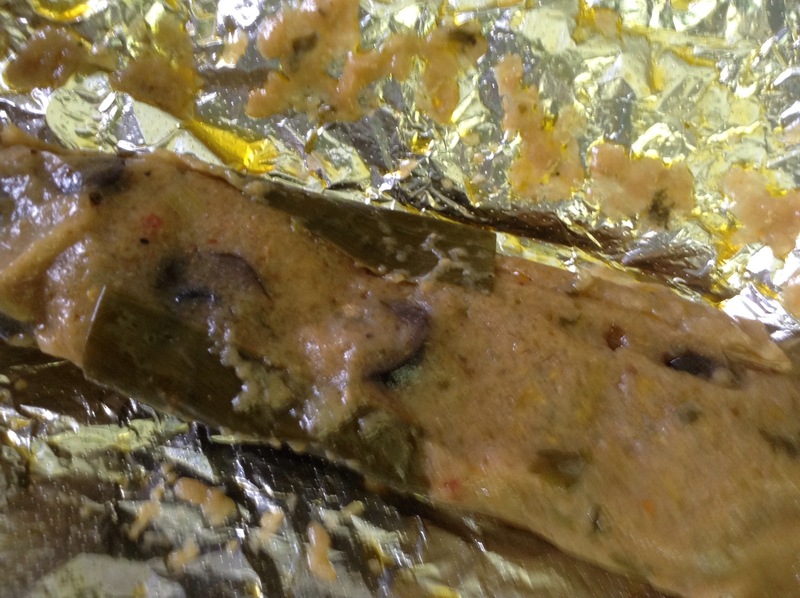 Puerto Rican pasteles from a neighbor. 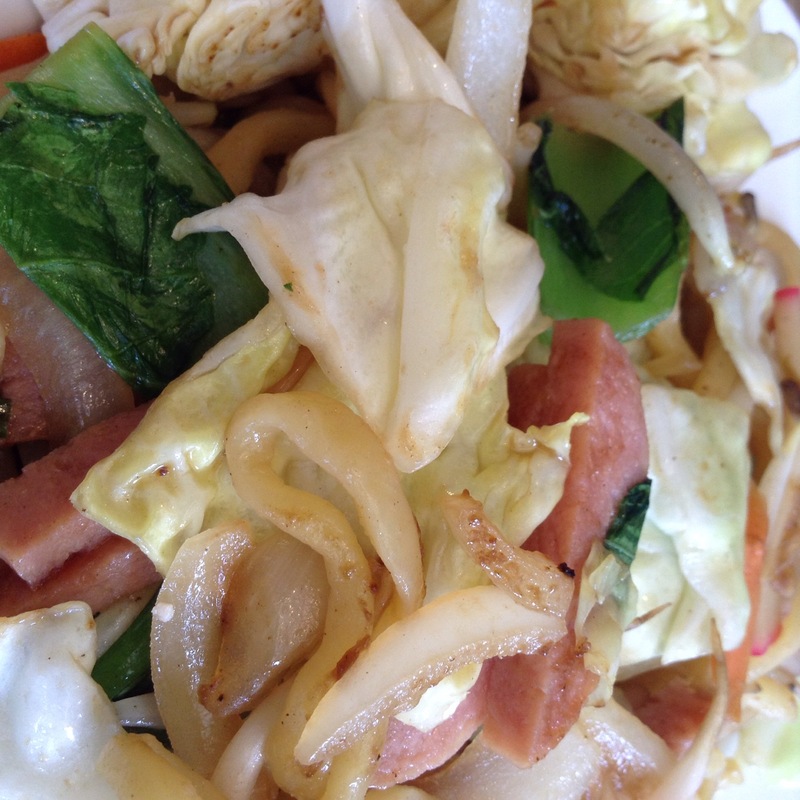 Okinawan fried soba from Utage Restaurant. Steamed mochi rice from Happy Days Chinese Restaurant. 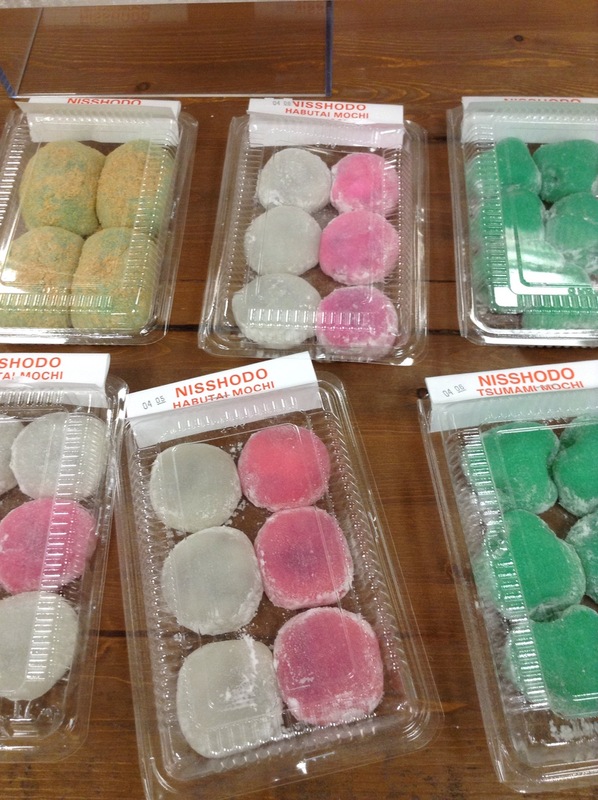 Soft and sweet mochi from Nisshodo Mochiya. 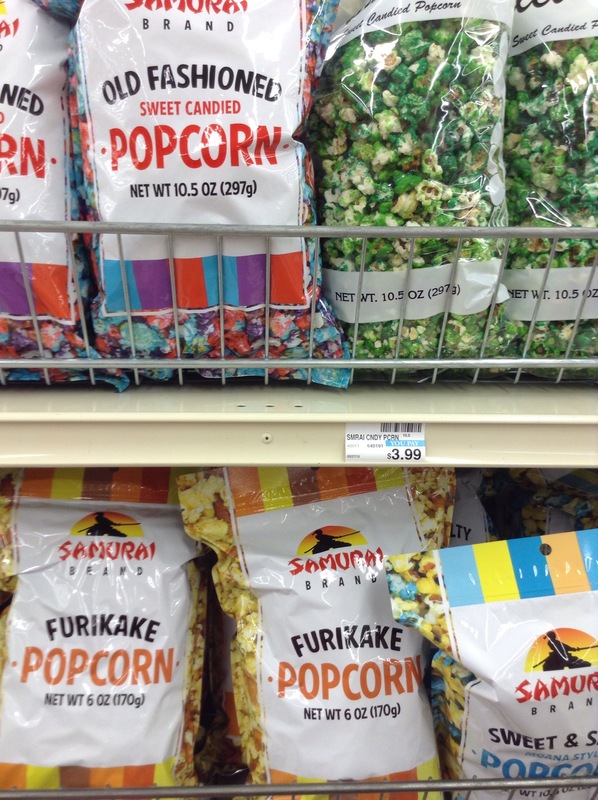 Furikake popcorn found at Longs Drug Store. 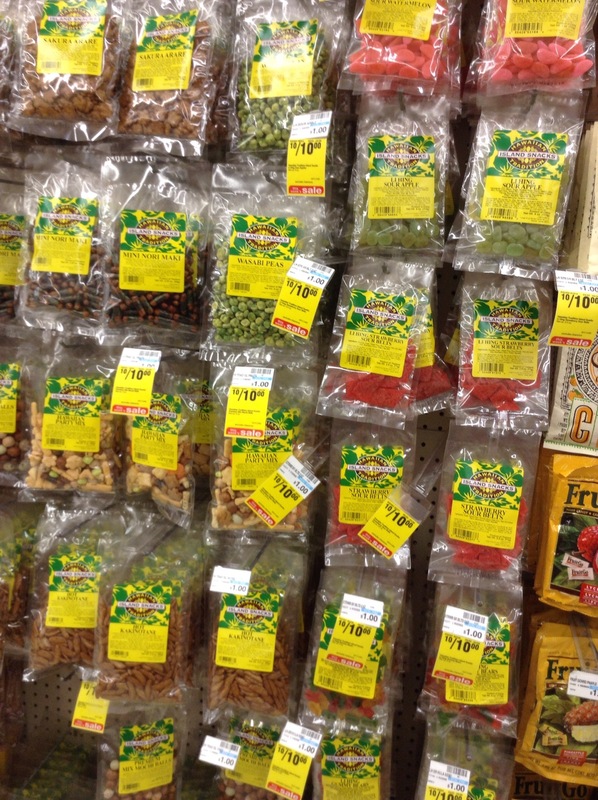 Assorted Japanese rice crackers, Chinese preserved seeds, dried seafoods, and other local goodies found at Longs. 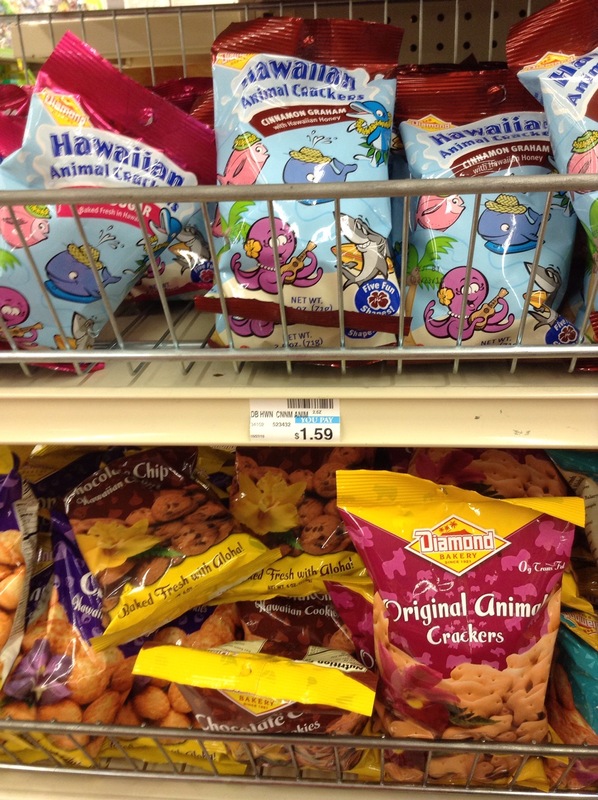 Diamond Bakery cookies and crackers. 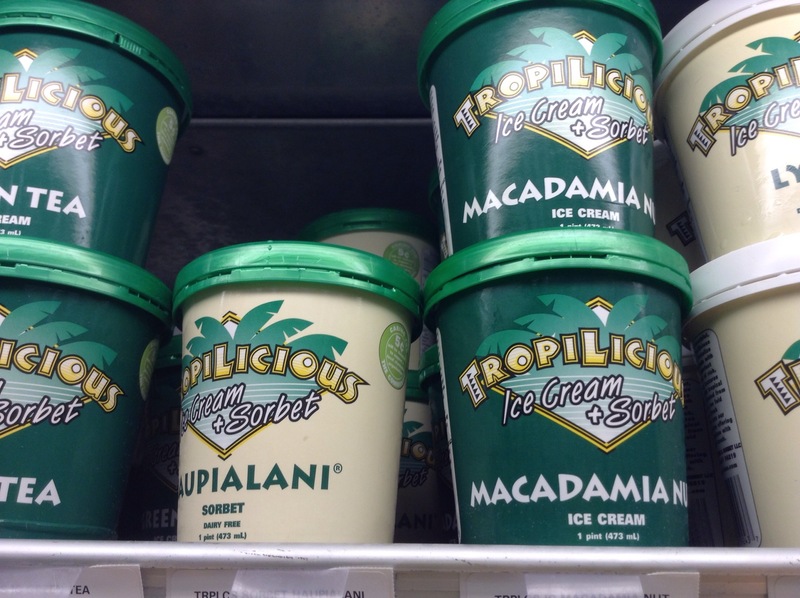 Tropilicious sorbets and ice creams in local flavors. 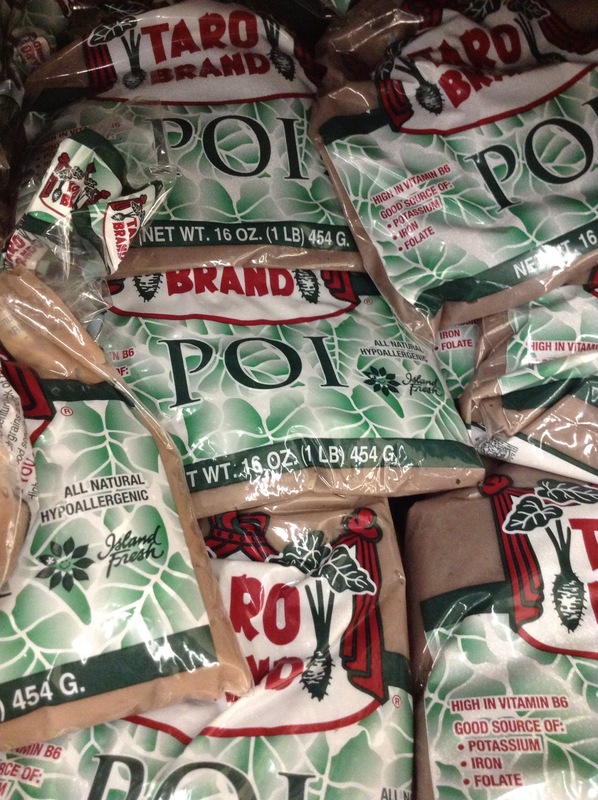 Taro Brand Poi in its famous bags. 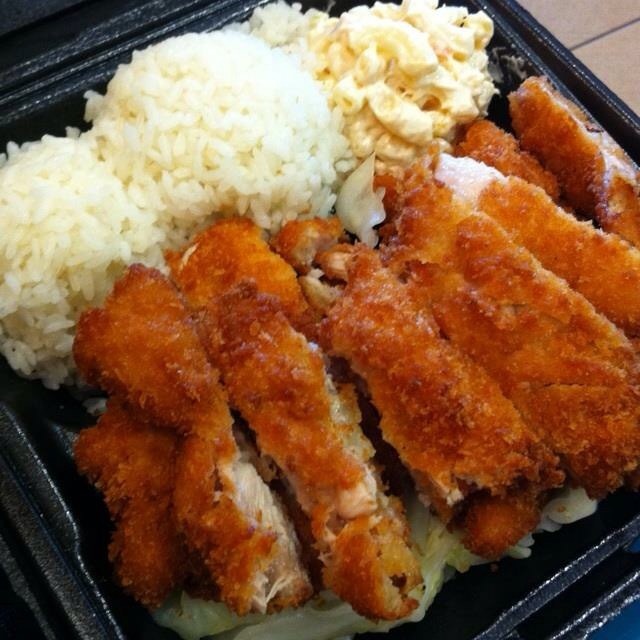 The local favorite, katsu plate lunch. 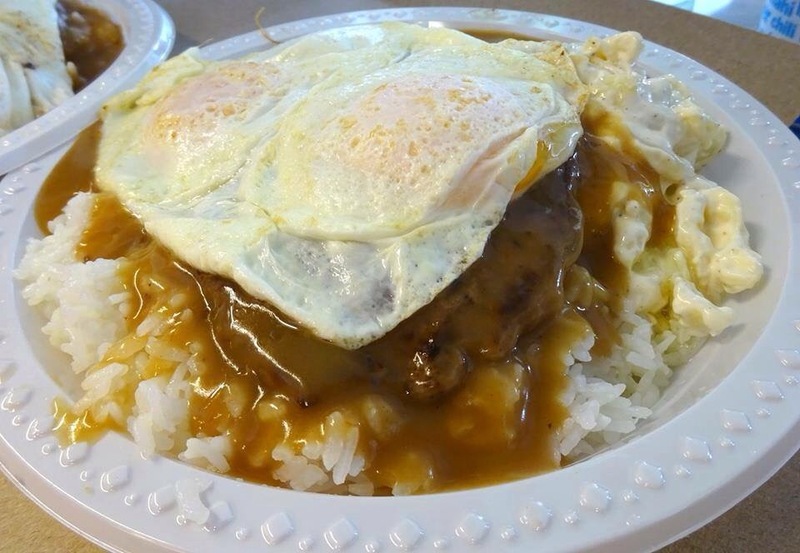 The delicious loco moco plate. 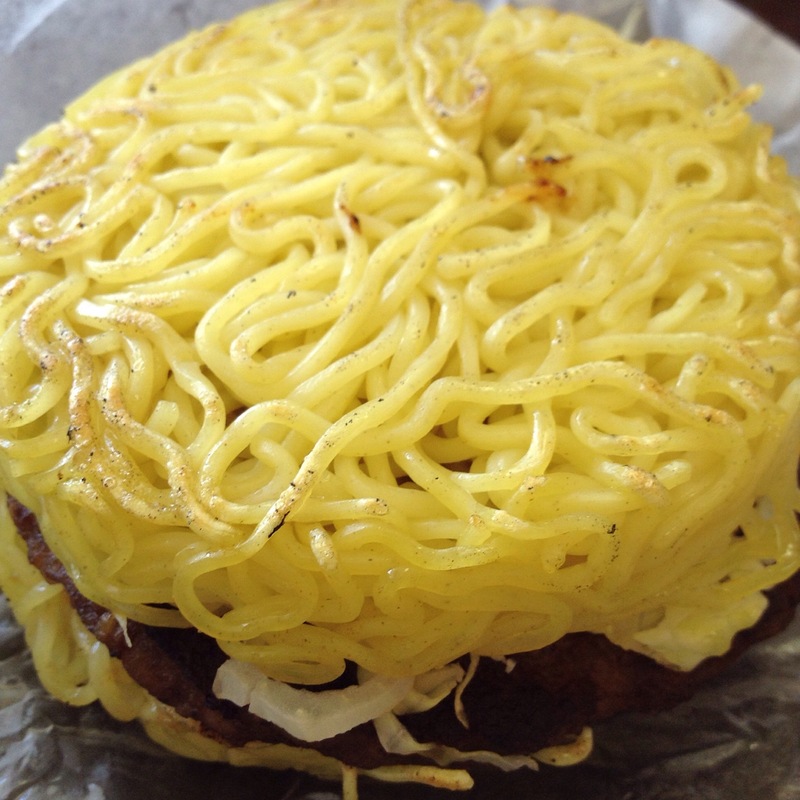 The L&L Drive Inn original saimin burger. 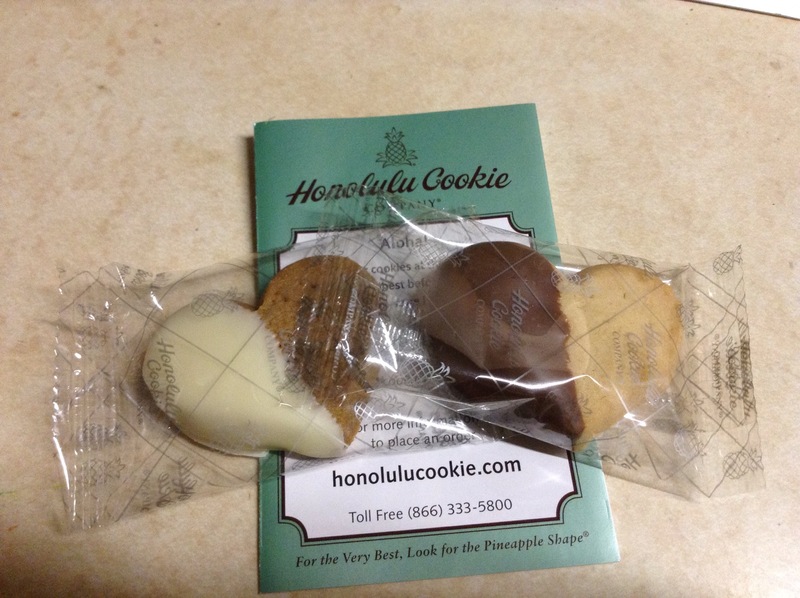 The Honolulu Cookie Company dipped shortbreads. 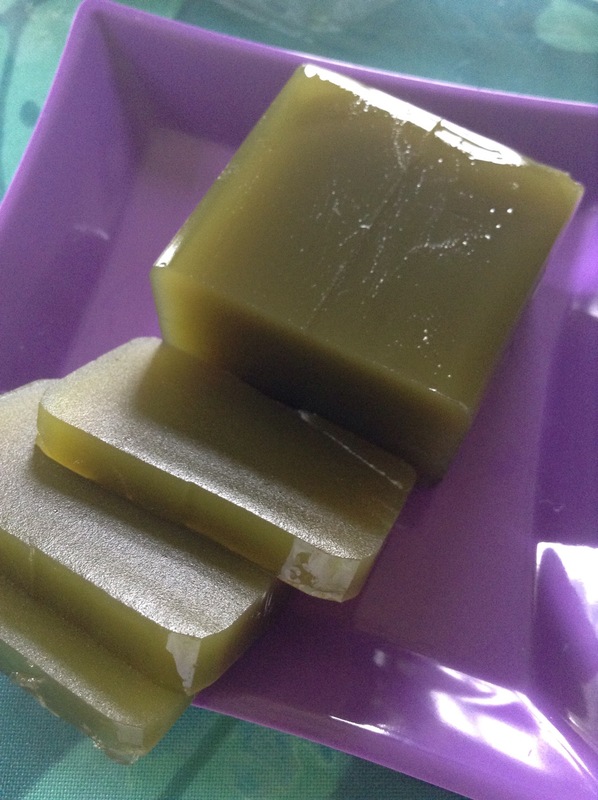 Yokan, a Japanese bean dessert. 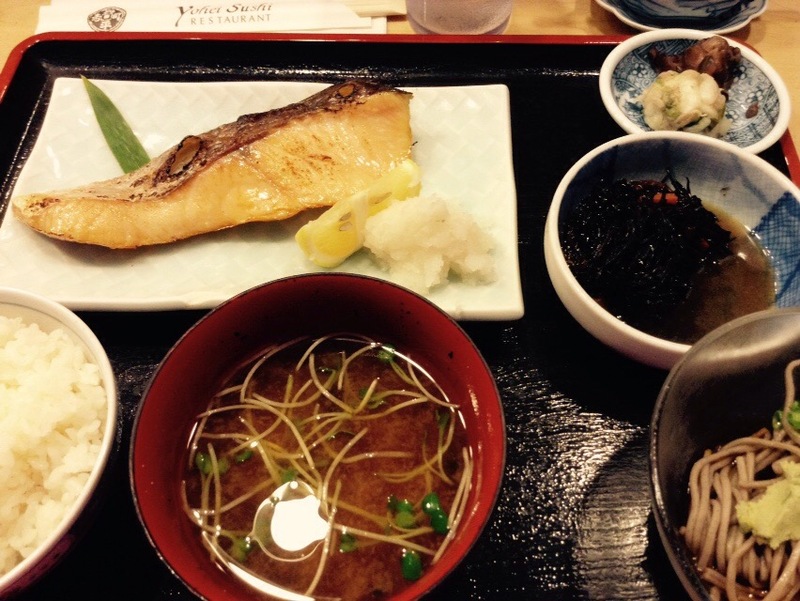 A Japanese teishoku style lunch from Yohei Sushi in Honolulu. 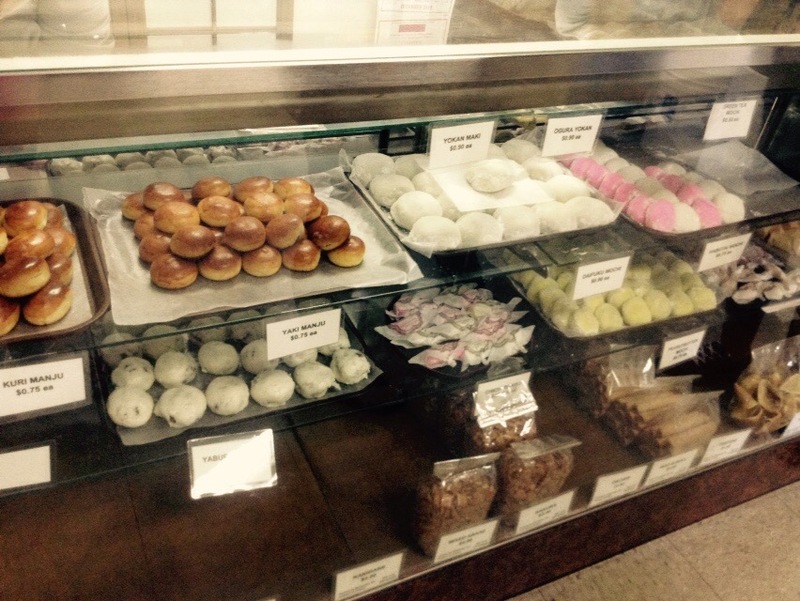 Mochi and manju from Nisshodo Mochiya. 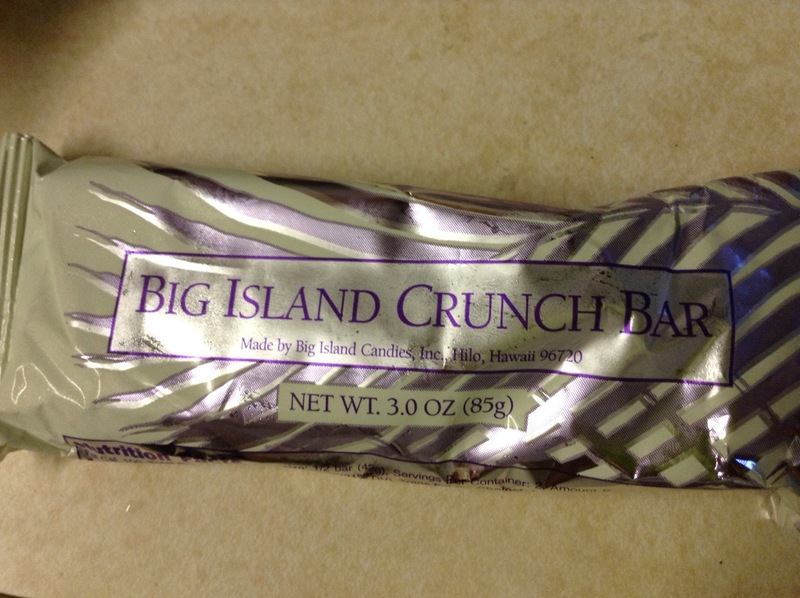 Big Island Candies Crunch Bar made with Mac nuts. Ono Ono kalua style meats. 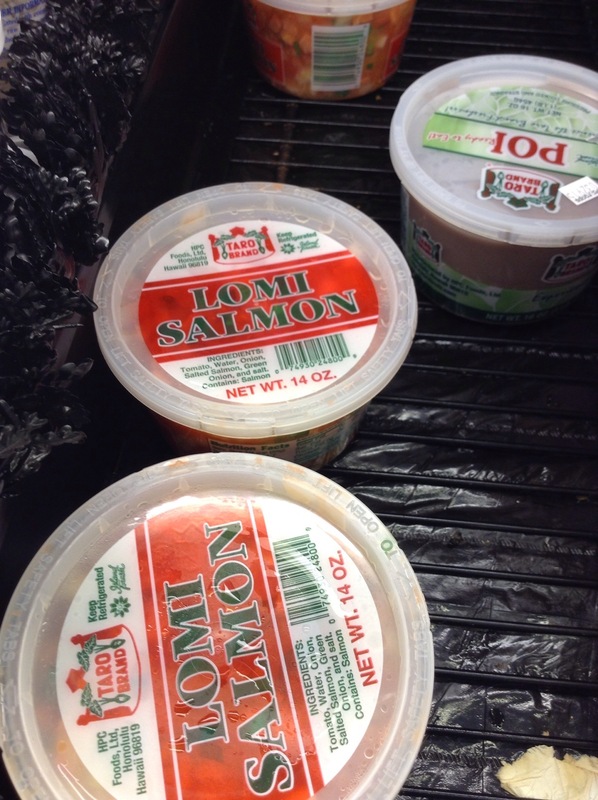 Lomi salmon and poi that’s already prepared. 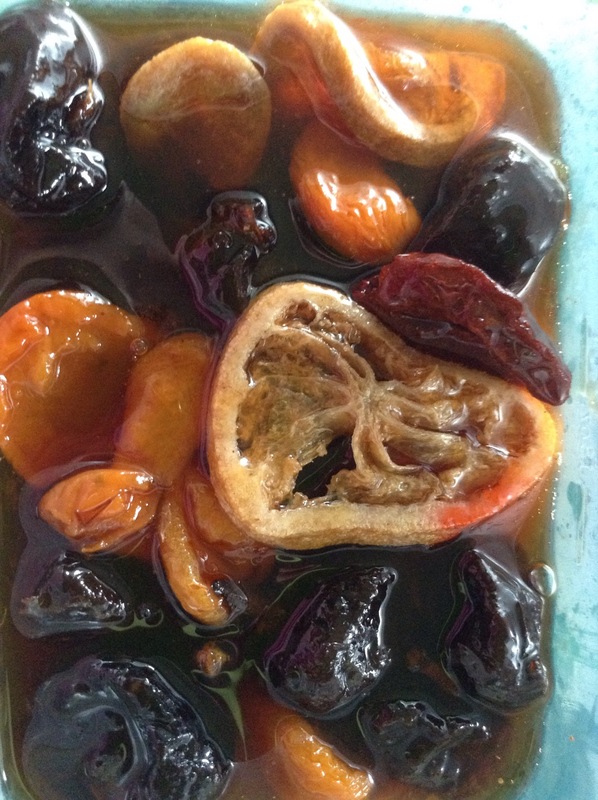 Chinese style prune mui preserves made by my mom. 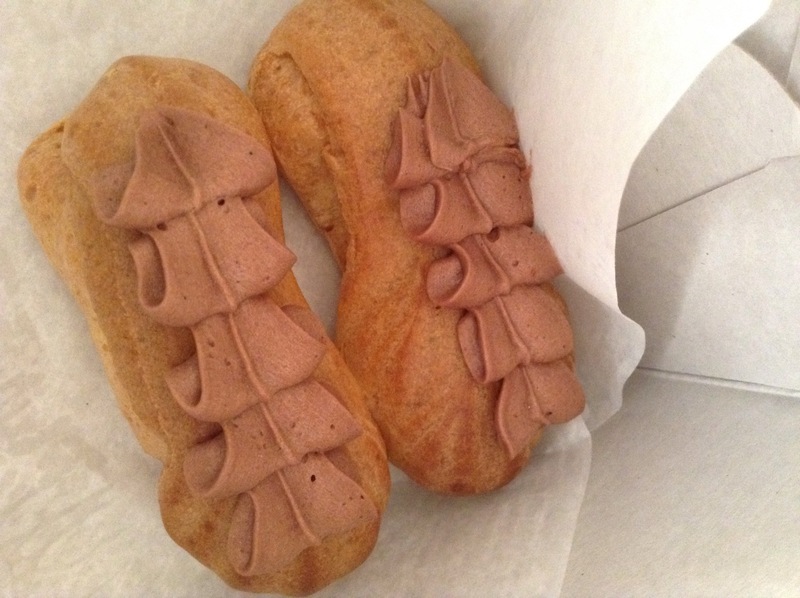 Deluxe Bakery eclairs from my favorite pastry shop. 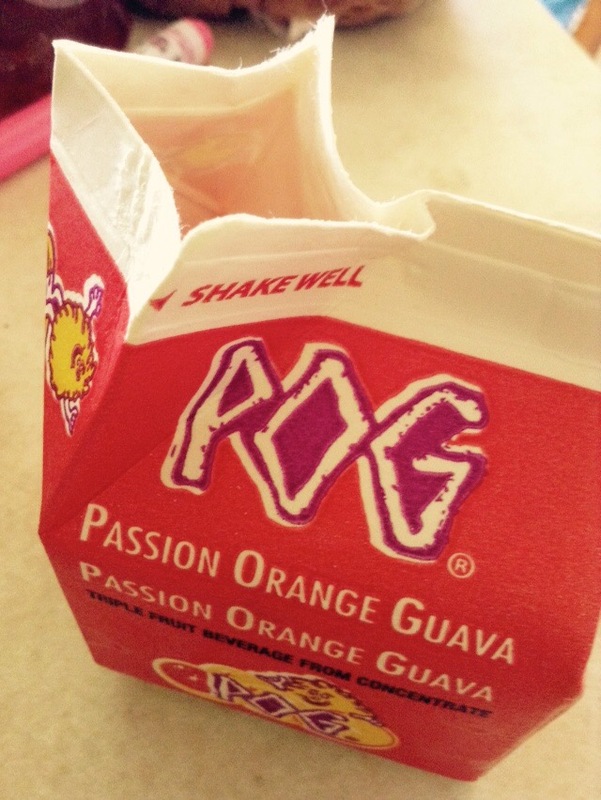 A local favorite, POG, passion fruit, guava, and orange juice. 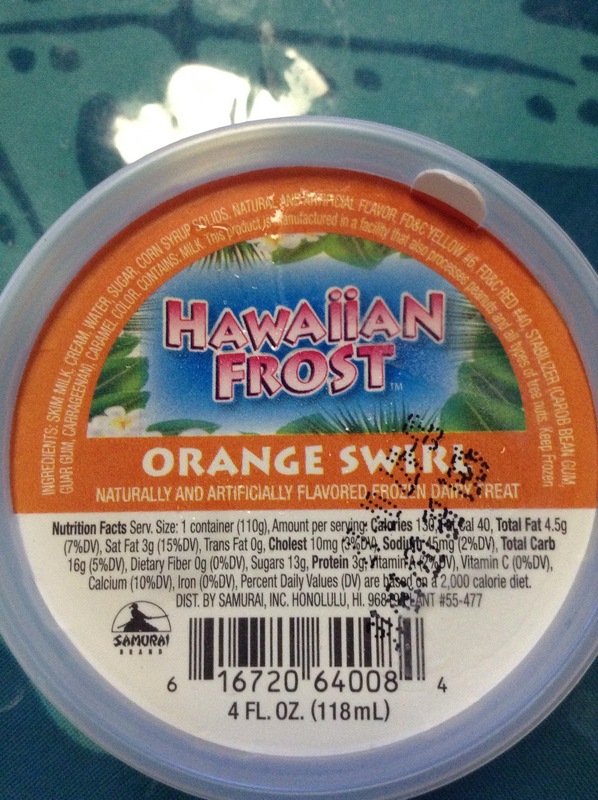 Samurai Hawaiian Frost sherbet bowls. 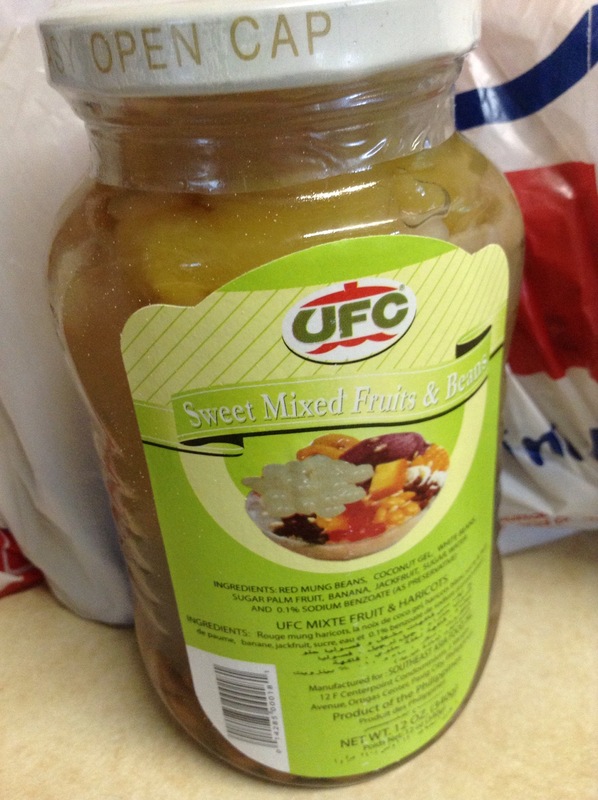 Halo halo, a Filipino favorite, from Times Supermarket. 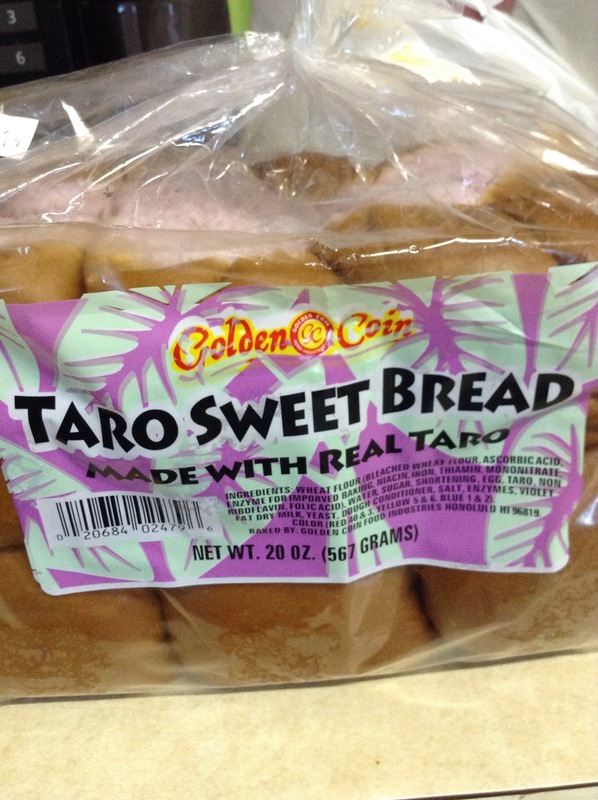 Golden Coin, a Filipino food and bakery, taro rolls. 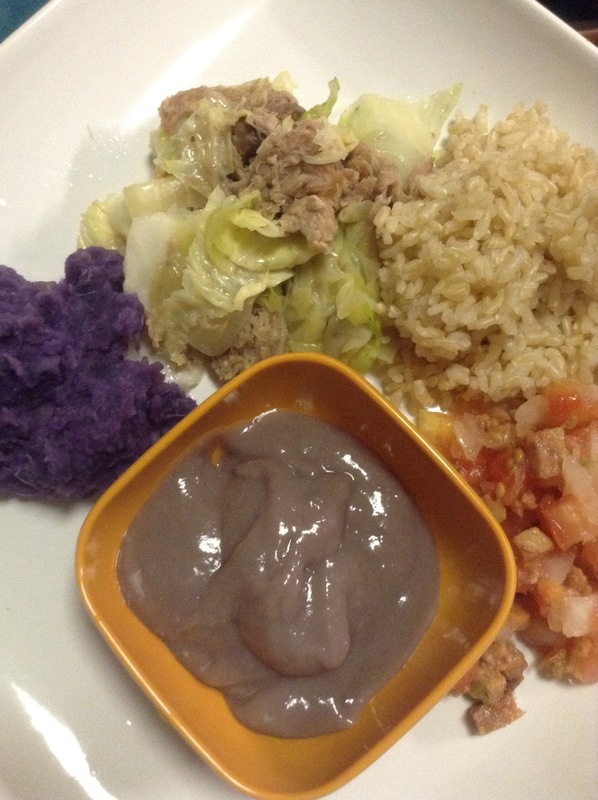 A Hawaiian plate with poi, Okinawan sweet potato, kalua pig and cabbage, lomi salmon, and brown rice. This is local style. This is reflects Hawaii. This is my roots. 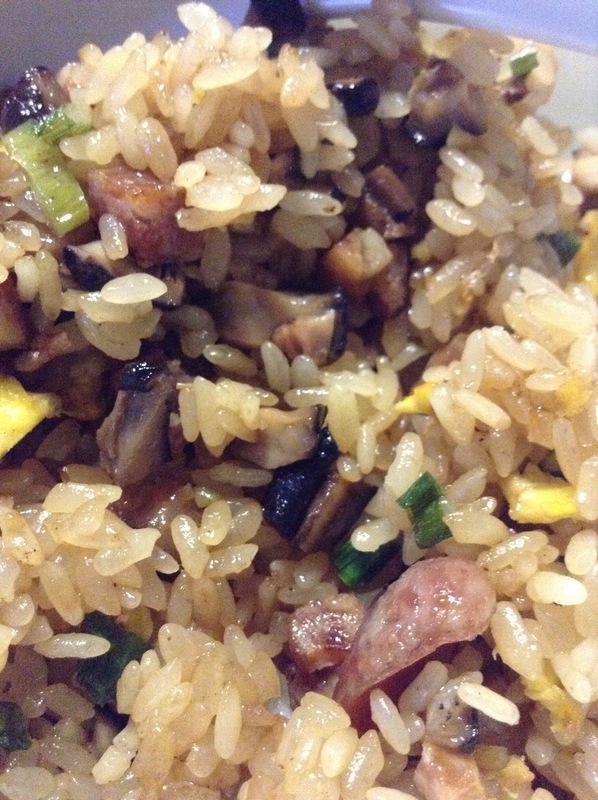 If you feel ono for these foods, you’ll know what I mean. 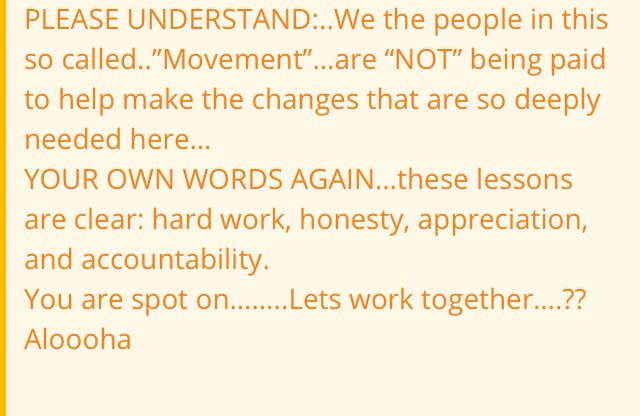 I’m one who will change my stance when the facts are presented. When the news came out that there was a bullet hole in a telescope door, my gut feeling was that the threats posted on the social media did materialize. It was with great relief that the facts came out that the hole was caused by an intake valve. I corrected my post online as I feel that it is the right thing to do and people deserve some sense of integrity to own up to my mistakes. It’s only fair that I take responsibility for what I say and take corrective action to make it right. It’s relieving that the hole was not caused by a gun. I’m still leery of the threats being made against the people and the project. The facts still remain that ugly things have been said. Whether it be the anti-GMO threats of crop destruction of the threats made against the TMT workers, these words have been uttered by individuals. Misinformation has been spread and not corrected. I am able to correct mine and ask others to do the same whether you’re in support or against it. The quick correction to the story really tampered down the tone on both sides which shows the power of addressing potential misinformation in a timely manner. Wouldn’t it be such a nicer world if we all could correct misinformation and stop the spread of it? It’s pretty clear right now that the anti-TMT activists aren’t about coming to the table to find common ground. They want no part of Mauna Kea being “desecrated” by the telescope. It is once again a black and white choice with no compromises, which is not surprising at all. 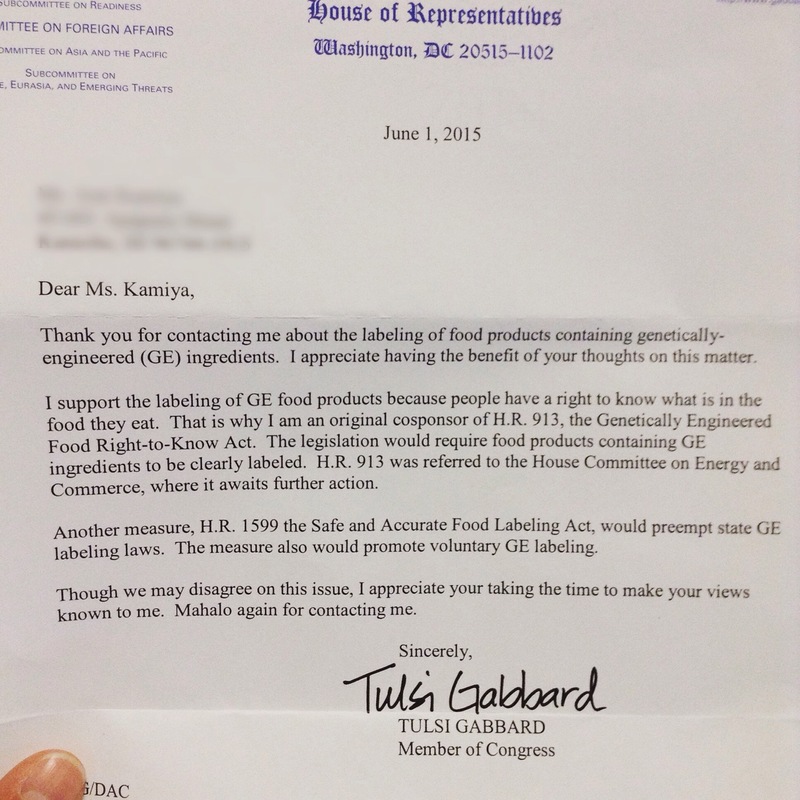 The parallels between the anti-TMT movement and the anti-GMO one are just too eerily similar. It’s the same kind of tactic where ideology is being used to justify their stances. 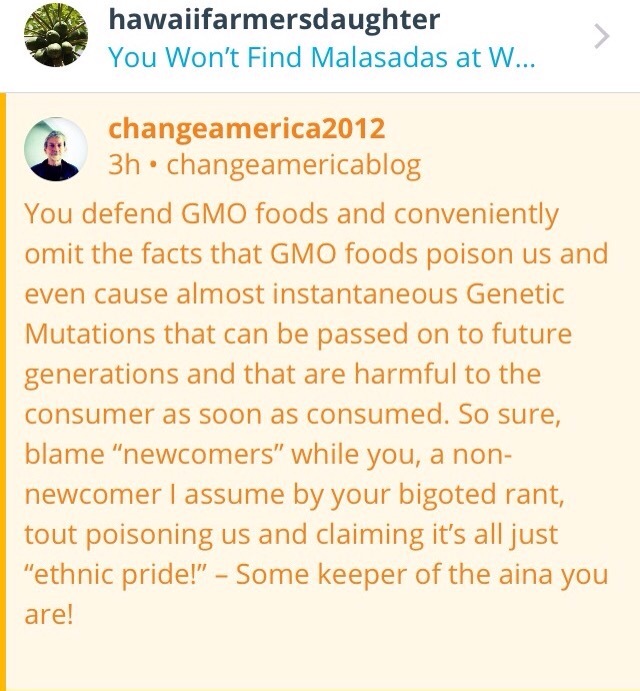 The anti-GMO one believes that the multinational corporations are poisoning people and messing with nature. There is no evidence that supports this claim but so many think this. 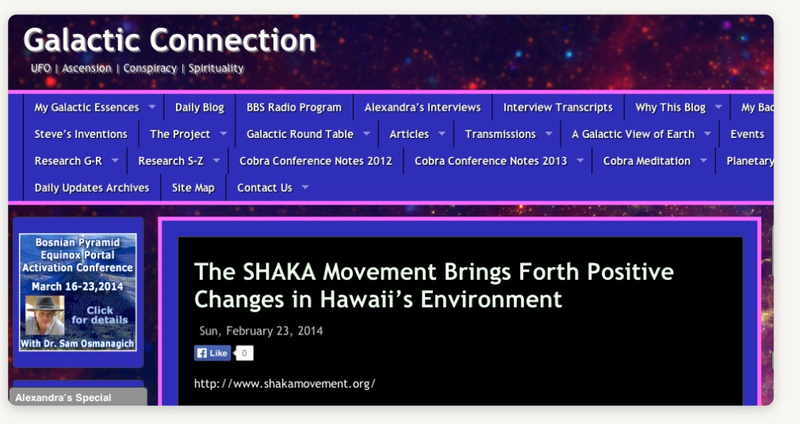 The anti-TMT stance is that Mauna Kea is being desecrated as it is considered sacred. Despite many actions like snowboarding and ATV riding occurring up there that make it really questionable if that really is the case. Some even feel that protecting the mountain equates to protecting their culture. If these people are protecting their culture, why are they so hateful and disrespectful of their own people who support the TMT? A high school student, Mailani Neal, started a petition to garner support for the project. What happened to her was really telling about the true intent of the activists. The price Mailani paid to speak out was extremely intimidating and just outright ugly. Like the anti-GMO movement’s tactics, the activists did the same thing with sending death threats and bullying in an attempt to discourage her from speaking up. Her own people were behind these attacks. I can’t help but think that this idea of protecting one’s culture to the point of being mean to a fellow native demonstrates culture gone bad. 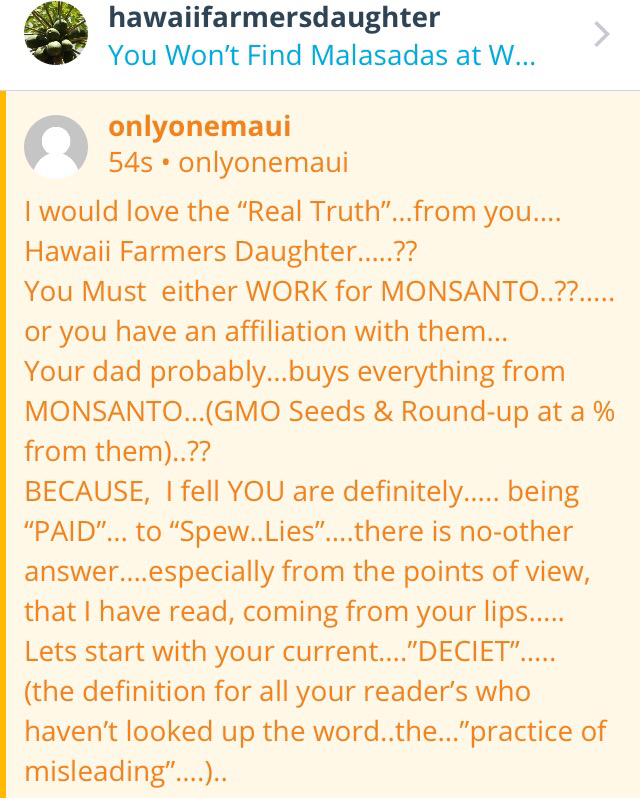 If Mauna Kea is the mother, would she allow her children to send death threats of bullying among her children? Would she support the loudest of the bunch of the crowd rip apart her fellow children? No mother would support such actions and stand by it. There are even kupuna and so many Hawaiian leaders seeking to shut down the project claiming that the protection of their culture justifies that they take away opportunities from their young people. Some have even encouraged their fellow Hawaiians to reject science. These people feel that nothing should be built and none can consider the consequences of what would happen if they take things away. They are ready to deny their own from fulfilling his or her dreams. When has it become a culturally acceptable thing to say hateful things to the younger generation and dismiss their aspirations? Why are adults try to tell others to reject science when they themselves have all benefitted from it? Why is it okay to spout misinformation and emotional arguments for the sake of protecting your culture? Would any parent want to see her child acting in that manner. I doubt it. 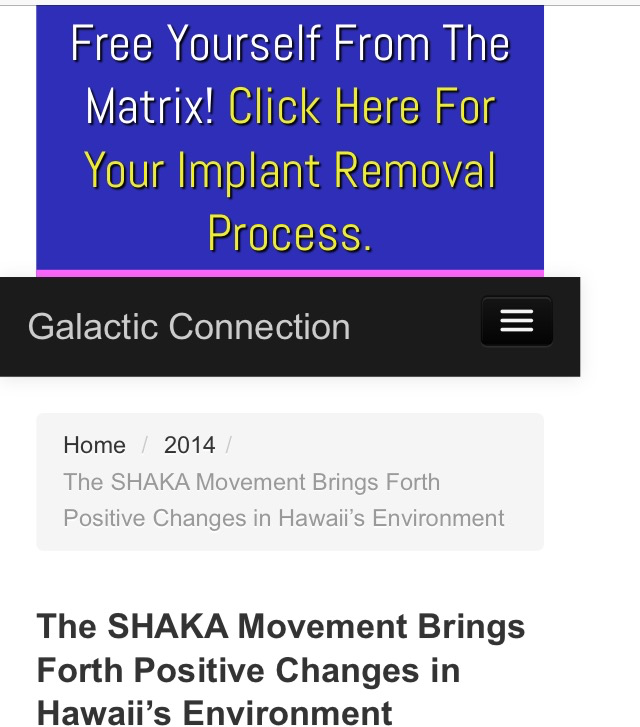 These people are using Mauna Kea to act badly and take away opportunities from their own in the name of sacredness. 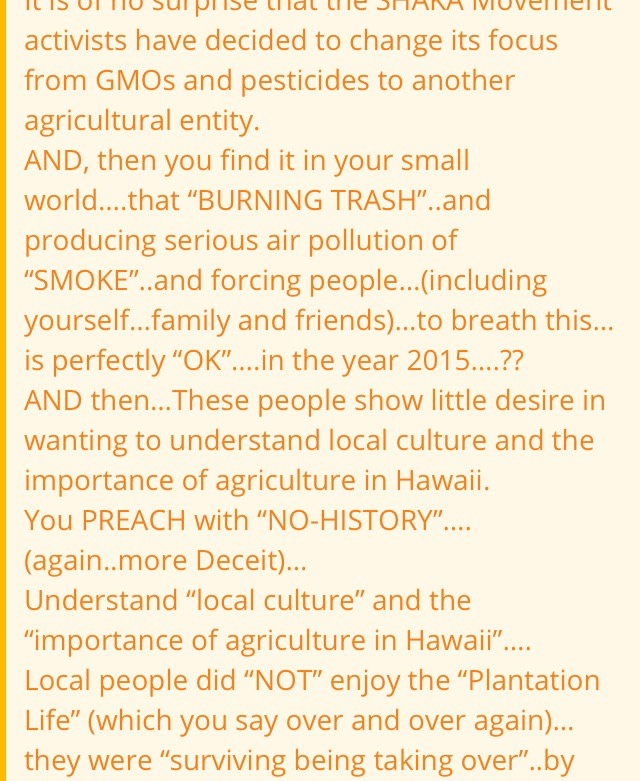 What is happening here is the same as anti-GMO protesters telling Kamehameha Schools to stop leasing lands to Monsanto. 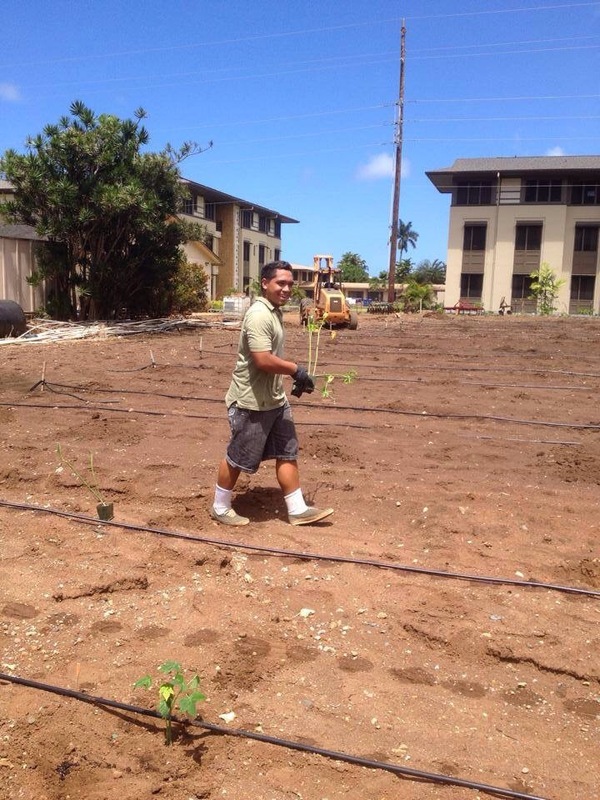 Much of the leases help fund the school’s educational mission to improve the lives of the Hawaiian people. 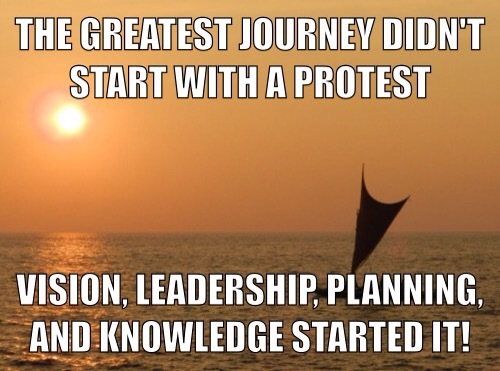 I sometimes wonder if all of these protests are intent on denying education to the native Hawaiians. It appears to be that way. They must want no one to pursue higher education to gain further opportunities. The message their action sends is that it’s better to not learn science as it conflicts with their cultural belief system. 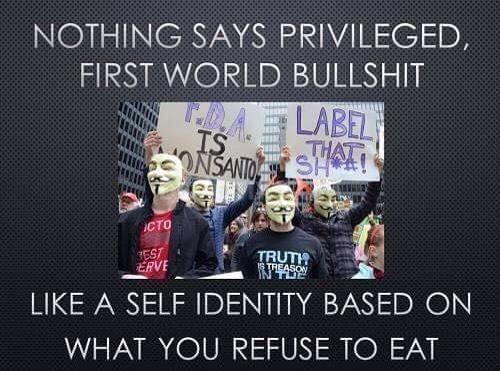 Both anti-GMO and the anti-TMT protesters talk about rising up and not joining the sheep. The thing with breaking away from that behavior of herding is that it may be freeing and exhilarating initially, but in reality, it leaves the rest of the people more vulnerable. The ones most at risk from the predatory behaviors are those who break away. They leave the group with their own goals with no real idea of the harsh consequences they may face in nature. If the radicals encourage others to follow the emotion fueled bandwagon, they impact everyone. When the adults break away with their children, it leaves everyone in danger to all the predators like poverty, drugs, and homelessness. When leaders of our state try to appease these people, it only sends the message that this kind of behavior is acceptable and encourages more of it. What will be left of our society when those who put everyone at risk is put in charge? A culture is not defined in a mountain, plant, or a word. A culture is defined by how people act and treat one another and the lessons we teach our children. Do we help our fellow person by attacking them for their opinions? Does our actions reflect on how we want our children to behave? Does our actions inspire our keiki to strive at being the best they can be? Are we setting the best example to others when we refuse to acknowledge the facts and collaborate? 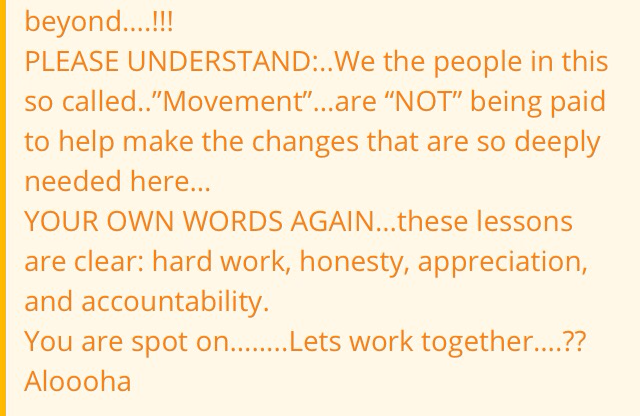 Are we preparing the right foundation for the future in the stances we take? Have we did our part to improve our well-being as well as others? Culture is a living and breathing being. It’s not the ahus (altars) built or the taro grown or a mountain for that matter. It’s how we live, the examples we set, and the goals we strive for. It’s advancing our knowledge and leaving a real legacy for our children to follow and continue with each generation. It goes far beyond the sensationalism of selfies at protests and TV appearances. Live the culture you speak of in word and action. That will live on forever in your children and their children. 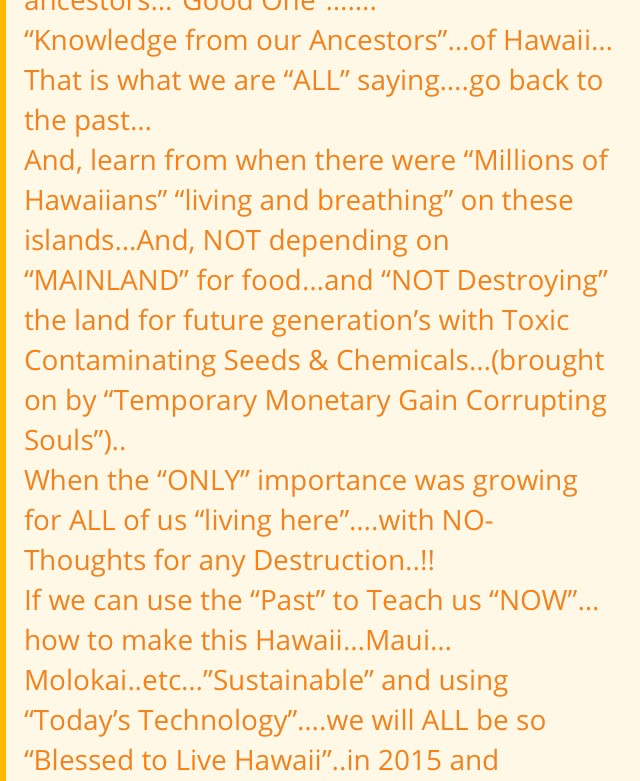 We can care for the land and do what is righteous but if the action taken seeks to destroy communities and divide families, we can never effectively function as an ohana. 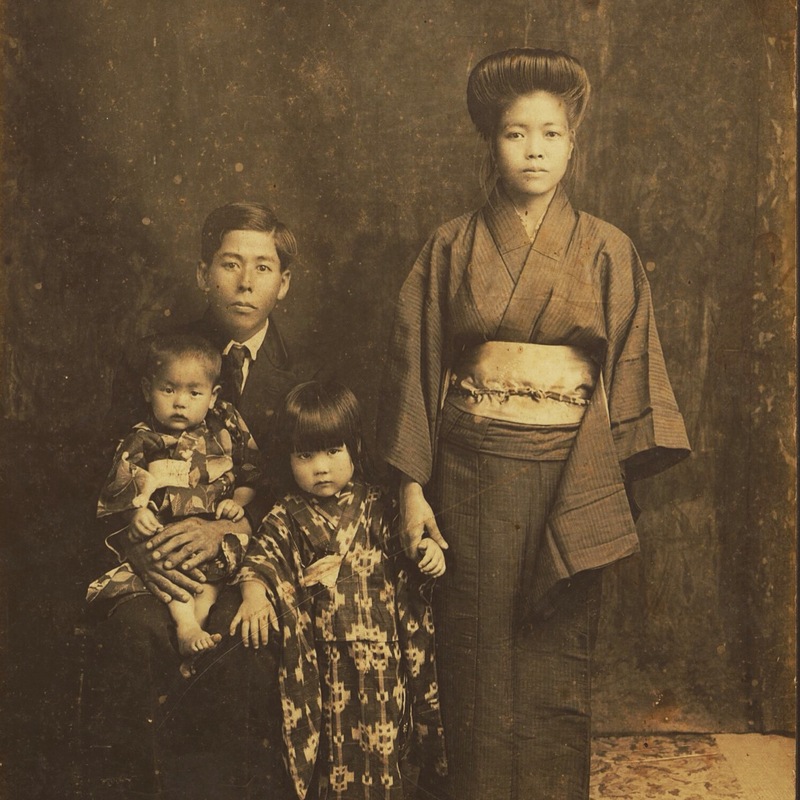 Hawaii’s culture is one of lokahi, where seek bonds to work together for a greater good. That to me is what a culture should strive for. The ahu was built by many hands workng together. It’s a symbol that the entire community must focus upon. Each rock has a different history in its origin, shape, and size. They all sit upon each other to build a greater structure. 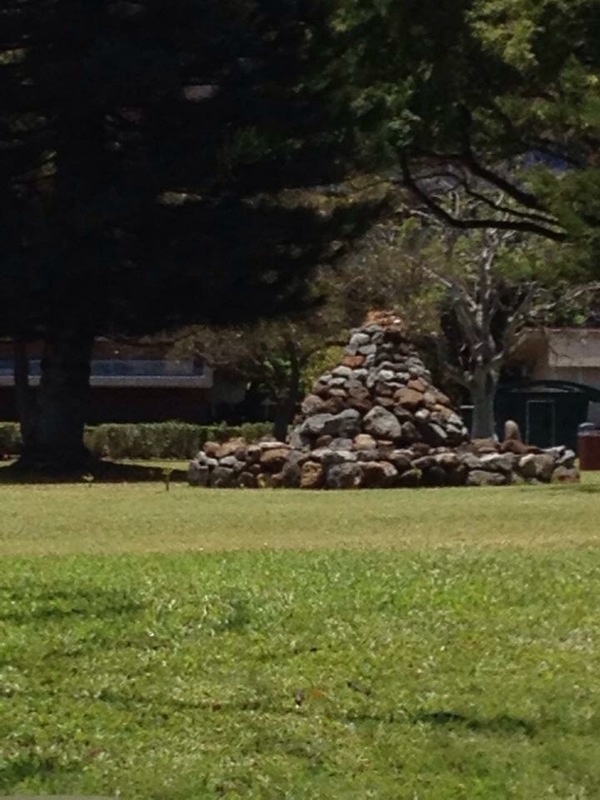 That is the epitomy of what our communities in Hawaii can become if we embody the symbolism of these monuments. One again, my dad’s farm was hit by thieves again. A few years ago, he had his farm office broken into and had it vandalized at the same time by thieves looking for money. They got away with the petty cash for the farm sale that time. 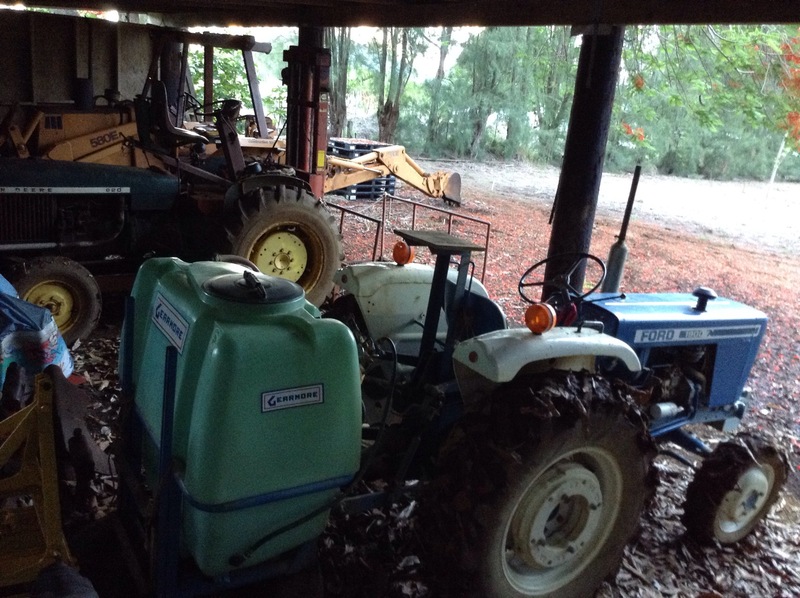 After that, his Punaluu farm had the fence cut and 500 pounds of papaya stolen as well as a tractor battery taken out of the engine. It’s bad enough that he’s had to deal with the anti-GMO activists year after year, but just a few days ago a blower was stolen from a refurbished tractor. The thieves cut off the hoses from his sprayer tank and sawed off the bolts from the platform he custom built for it. The blower was a Shindaiwa EB 600 model valued at $600. It’s easy to sit back and think that simply replacing the stolen goods are not a huge deal. It’s just more unnecessary costs and time lost due to thievery. As I look deeper into into it, the problem is much more that we realize. Much of the thievery can be attributed to drugs in many cases. They want to fuel their habit and resort to stealing goods. People doing drugs are usually a result of families with a long cycle of drug problems that stem from generation to generation. These people have poor examples to follow and little to know education. Without education, they have no opportunities. No opportunities leads to substance abuse, crime, and even homelessness. What’s even more tragic is a higher proportion of those with substance abuse, criminal records, or who are homeless tend to be the native Hawaiians. They make up a higher proportion of the prison population here too. How can the native people enjoy opportunities and a fair shot at it if they are jailed or homeless? 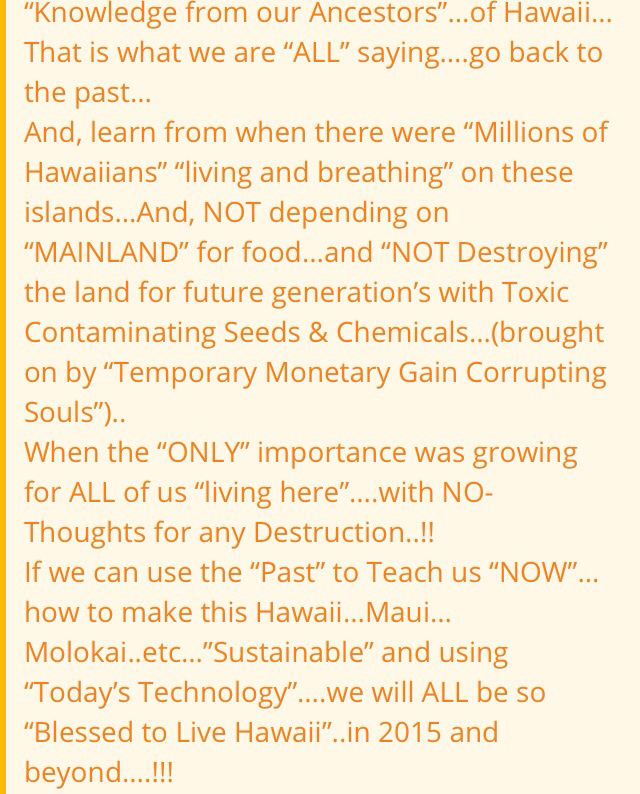 It’s even more sad that there is the millennial “leaders” of the native Hawaiians preaching to others the reject science by participating in anti-GMO or anti-TMT protests under the facade of saving their culture. A culture of rejecting or impeding everything isn’t providing opportunities or truly educating people to get them out of the cycle of crime, drugs, and poverty. 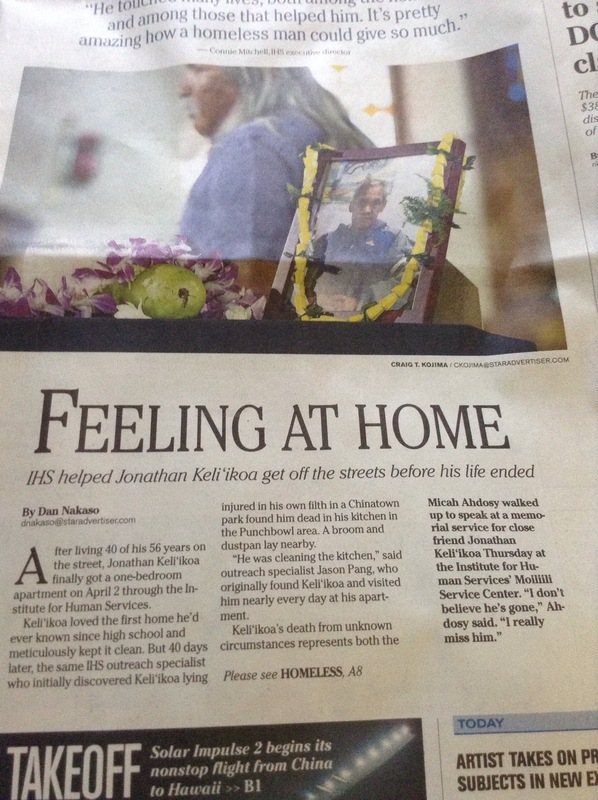 Just in today’s front page was a story about the tragic death of a native Hawaiian, Jonathan Keliikoa. This man spent 40 of his 56 years of life homeless. It’s a very distubing story that is all too common. This kind of thing that should be enough to bring about a protest! While the millennialis are busy organizing protests and marches, their fellow Hawaiian suffers in the streets. If every single protester gave their time and support to agencies like the IHS to help others, wouldn’t that make a difference on real problems? If we as a state focus on the simple words that Hawaiians treasure like malama, to care, and aloha, our efforts can be so much more worthwhile. If each person valued a true education and opportunities, maybe we can break the cycle that keep people from rising up in society. True leaders with real visions direct people in that direction. Trendy bandwagon leaders only get people all emotional for the transient cause but never teach the how to sustain a vision, set goals, and make their own real mark in the world. If people don’t rise up in society, they not only steal from farmers but from each and everyone of us. We all pay for prisoners and those who are homeless or chronic drug abusers. 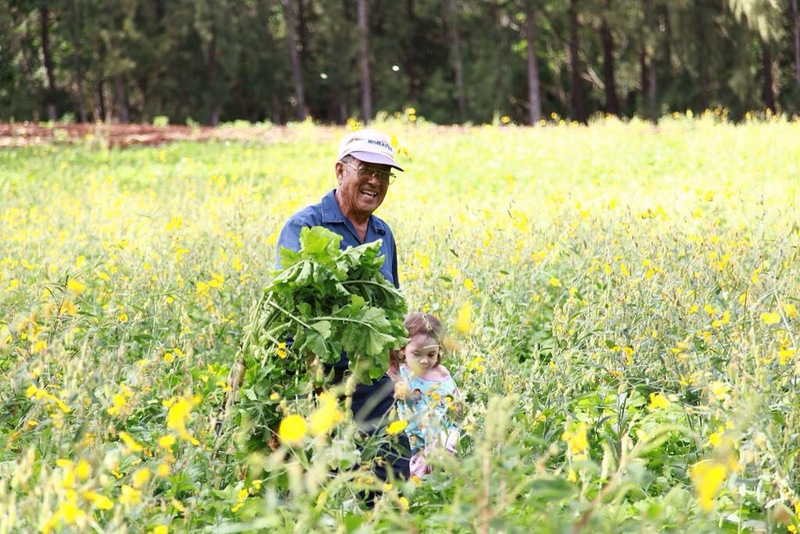 It takes away from resources that can be used for our keiki and kupuna. We can never thrive if we don’t address the root of the problem. Can a culture survive with leaders that direct people on the protest of the moment or do we need more visionaries that take the unpopular but right stance? If people want to actually get somewhere, it’s time to scrutinize what you’re being told. Is your leaders really educating you towards opportunities or using you to join the masses for their own fame?